This tipped us over the edge and we made a last minute booking on a ship departing to the Antarctic Peninsula from Ushuaia, Argentina in just under a week. 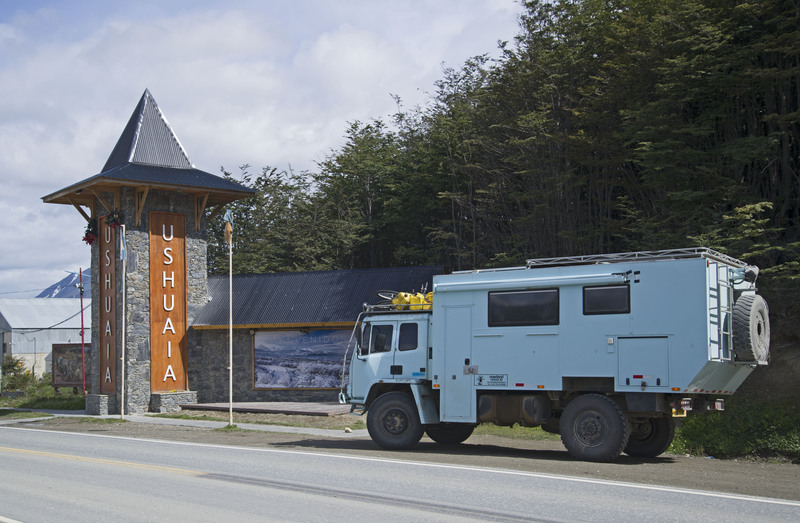 We were still around 900km from Ushuaia and we’d have to cross over into Chile and back again before getting down there. In short we had to get a wriggle on. 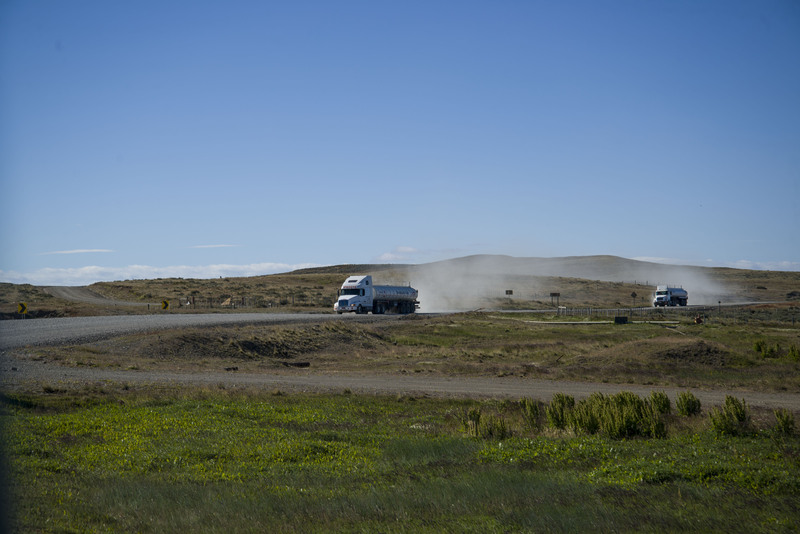 The first leg of our journey took us across Argentina to Rio Gallegos. 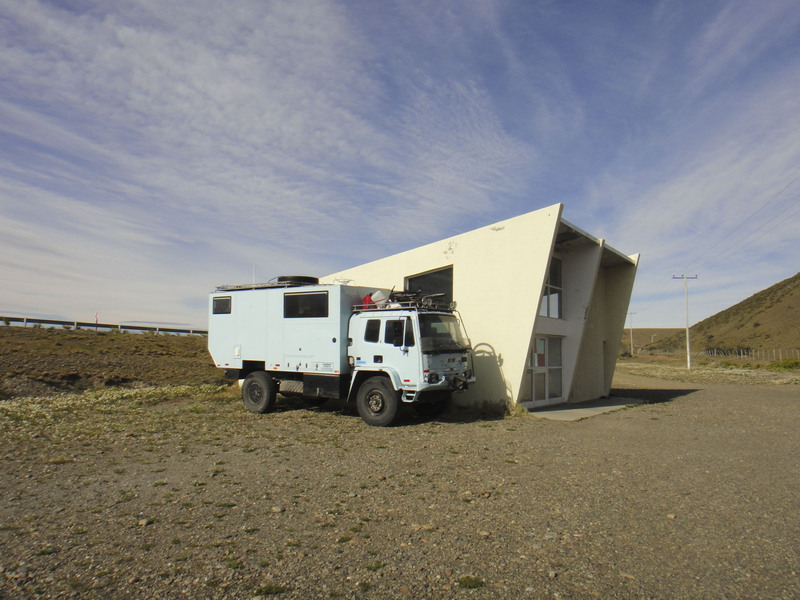 This area of Patagonia is swept by incredibly strong winds and we sheltered for the night at a parking area with a number of shrines. Fortunately one of the shrines was big enough for us to hide behind. The next day we carried on South crossed into Chile (via an incompetent border where both the Argentinian and Chilean migration forgot to stamp our passports. Fortunately we realised before leaving). 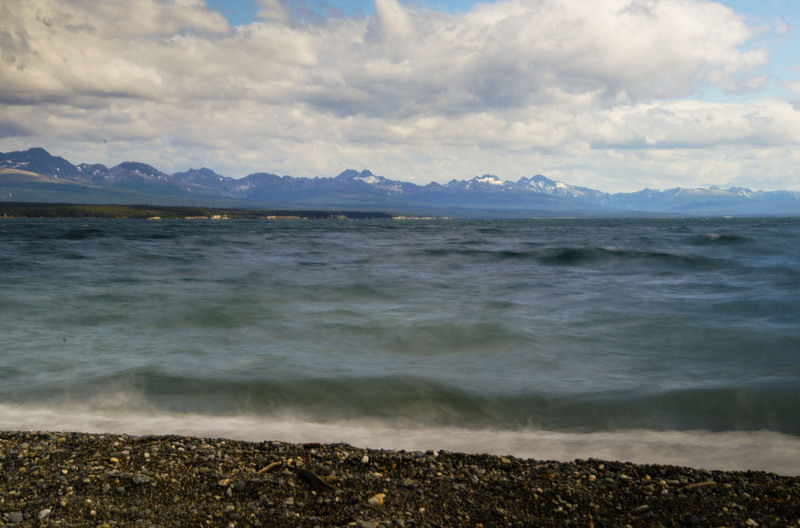 Then came a ferry crossing to Tierra Del Fuego. 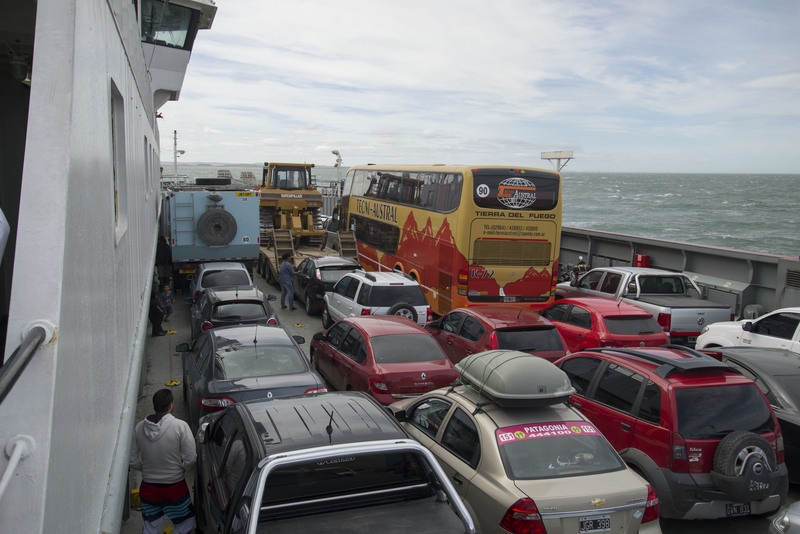 The short ferry in the North of Tierra Del Fuego is much cheaper than Punta Arenas – Porvenir ferry. It was cheaper than it should have been because we accidently paid the car fee instead of the camper fee (saving over half) and were let off with a warning to pay the full fee when we come back. The wind was so strong at the ferry crossing that the ferry arrived at the North side and then got pushed well East of the ramp needing to spend 20 minutes battling back against the wind. We drove from the ferry to the small town of Cerro Sombrero where we spent the night on the town’s main square protected from the wind by the Museum of film. Leaving Cerro Sombrero we made a tactical mistake and drove the shortest route to the Argentinian border. This road was pretty rough and there were lots of trucks – the slightly longer route heading south from Cerro Sombrero is the much better road. Another border and we were into Argentina again. This little sojourn in Chile had of course cost us most of our food so we were heading straight to Rio Grande to hit up a supermarket and restock. Rio Grande had the feel of a border town and wasn’t somewhere to hang out so we carried on South and stopped at the lakeside town of Tolhuin. 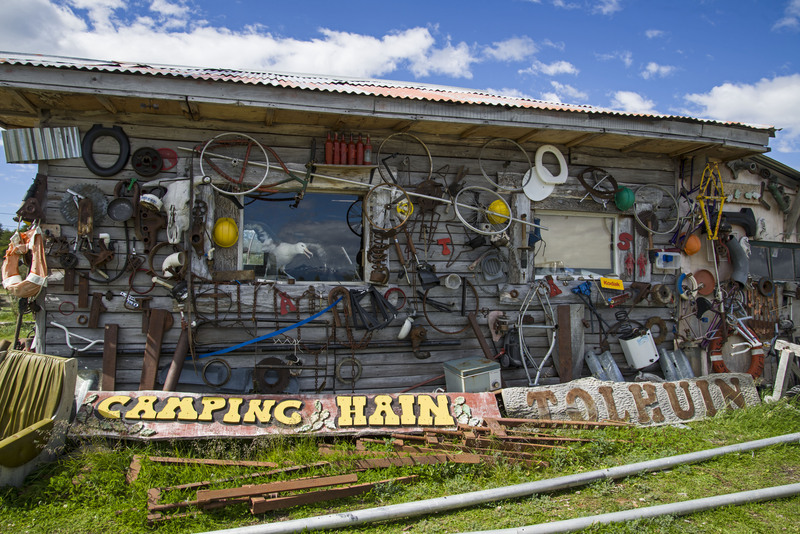 At Tolhuin we decided to stop for two nights at the characterful Camping Hain on Lago Fagnano. On first glance it seems like a junkyard but on closer observation driftwood and other discarded objets have been crafted into windbreaks against the almost constant wind from the lake. The lake itself has many moods and the colour changes constantly. 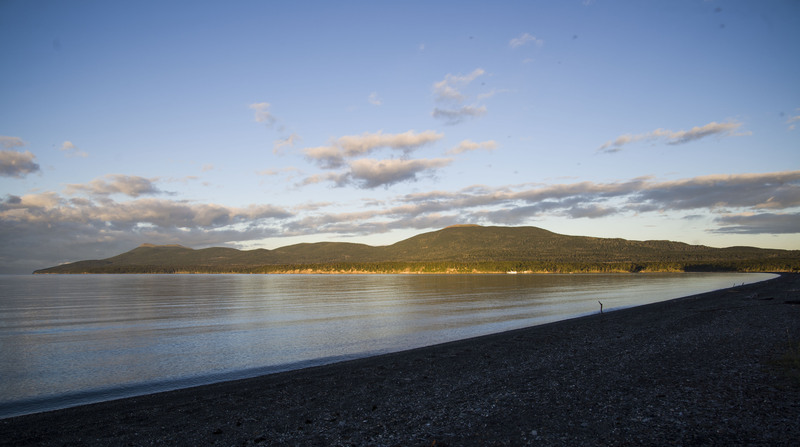 From Tolhuin we’re only 100km from Ushuaia which we drive quickly to arrive at the city that styles itself “The End Of The World”.